UK mobile network EE has revealed an outline of its 5G in 2019 rollout plans. The firm, part of BT, aims to become the UK’s first 5G provider and will switch on 5G services in 16 cities in 2019. It will follow a staggered demand led rollout strategy, and will launch with multiple smartphone providers, as well as an EE 5G Home router for broadband. EE is currently trialling live 5G in Canary Wharf, and parts of East London. EE says that its 5G rollout strategy is “determined by the number of business and consumer customers the EE network connects in busy places, and the amount of data those customers use”. With this in mind, the first six cities where 5G will be switched on are; London, Cardiff, Edinburgh, Belfast, Birmingham and Manchester. Specifically it is choosing to build 5G connectivity in the busiest areas of these citied first; Hyde Park in London, Manchester Arena, Belfast City Airport, the Welsh Assembly, Edinburgh Waverly train station and Birmingham’s Bullring. This will help 5G make the biggest difference – even with the biggest crowds often witnessed at these locations. In an example given, one EE facility at Waterloo Station carries on average over 100TB of data per day. Later in 2019 EE will deliver 5G services to ten more cities and their busiest locations. It is targeting Glasgow, Newcastle, Liverpool, Leeds, Hull, Sheffield, Nottingham, Leicester, Coventry and Bristol for this second phase. Each 5G site will boast transmission links of up to 10Gbps and connect to the Petabit-class BT 21CN backbone network. Above I’ve shared the headlining cities to get EE 5G in 2019 but in total EE plans to upgrade 1,500 sites to 5G during the year. These sites will serve 25 per cent of all EE UK data in 2019, it is expected. However, they will only cover 15 per cent of the population. 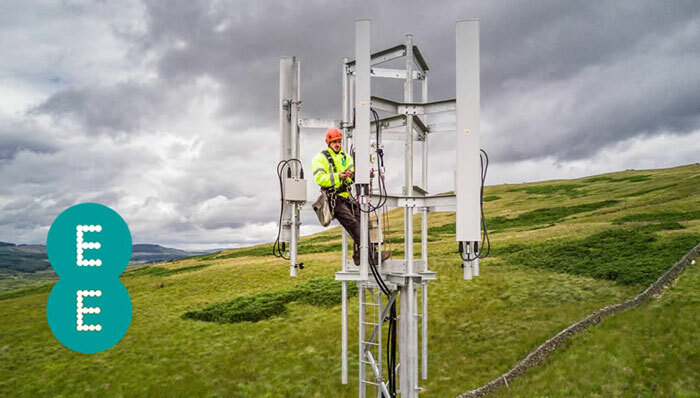 Thus EE is also expanding / upgrading 4G into rural parts of the UK. It claims to have built more than 350 brand new 4G sites in 2018 so far. Vodafone and Three have also confirmed they will begin 5G services in 2019. Unfortunately no specific launch dates have been provided by any of these companies. Overall, 2019 is looking to be an exciting year for 5G developments. Intel sounds like it will be a bit late for launch but a variety of mobile devices and routers will be ready for the launch by the sounds of things. And they're teaming up with Intel are they not? They keep announcing their 5G modem but suffice to say despite the millions spend on advertising it, announcing it and so on they do not appear to have an actual lump of silicon we could legitimately call a 5G modem. They certainly haven't demonstrated anything and so Qualcomm are in the lead here with Intel just appearing to lie endlessly to reassure both the investors and their…. customer (Apple) who will expecting large quantities of chips (I wonder if Intel will be planning on doing them on their equally mythical 7nm process? Or maybe the struggling 10nm one instead?) on time and fully functional.